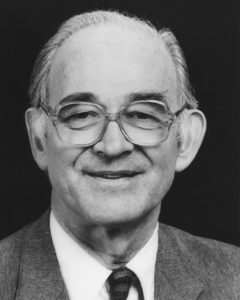 Bert R.J. Bolin was a pioneer in global climate changes, he helped focus international attention on the potential dangers to the world’s climate posed by the greenhouse gases and acid rain. His lifelong research has contributed to knowledge about the carbon cycle, and phosphorus, nitrogen, and sulfur cycles. Bert R.J. Bolin is a pioneer in global climate change, who has helped focus international attention on the potential dangers to the world’s climate posed by the “greenhouse” gases, such as carbon dioxide and, more recently, ozone, methane, nitrogen oxides, and chloroflurocarbons. World renowned for his work in meteorology and environmental chemistry, Dr. Bolin has been instrumental in determining how man’s activities – especially the burning of fossil fuels for energy and the destruction of forests increased concentrations of carbon dioxide by 2 ” 5 / in the atmosphere in the past 100 years. A continued increase in CO2 emissions could lead to sharply altered climatic patterns, marked by a worldwide rise in atmospheric and surface temperatures, changes in sea levels and rainfall patterns, and changes in most major ecosystems on Earth. Understanding how our environment was created and is maintained requires an understanding of the interactions between physical, biological and chemical processes. The carbon cycle is affected by physical and chemical processes in the exchange between the atmosphere and the sea, biological processes in forests, soil and oceans, and geological processes in the interior of the Earth. The significance of man’s impact on the carbon cycle cannot be thoroughly assessed until we better understand the natural workings of the cycle. To this end, Dr. Bolin’s current research focuses on the oceans’ influence on the CO2 content in the atmosphere. In addition to Dr. Bolin’s lifelong research on the carbon cycle, he has contributed significantly to our knowledge of the phosphorus, nitrogen, and sulfur cycles. Humaninduced changes in the nitrogen and sulfur cycles are a primary cause of acid rain. Several international research programs on global climate and the effects of CO2 and other greenhouse gases owe their existence to Dr. Bolin and a handful of other scientists. In the 1960’s, Dr. Bolin played a key role in the development of the multidisciplinary Global Atmospheric Research Program (GARP), a joint effort between the International Council of Scientific Unions (ICSU) and the World Meteorological Organization (WMO). GARP was the forerunner of the current World Climate Research Program, which provides observations necessary for global climate forecasting. When acid precipitation was discovered in the Scandinavian countries in the 1960’s, other countries paid little attention to it until a committee appointed by the Royal Ministry of Foreign Affairs and the Ministry of Agriculture of Sweden, and chaired by Dr. Bolin, drew worldwide attention to this ubiquitous problem at the first United Nations Conference on the Human Environment, held in Stockholm in 1972. Largely due to Dr. Bolin’s efforts, the International Council of Scientific Unions approved in 1987 the International GeosphereBiosphere Program, A Study in Global Change. This giant effort to understand the changing climate and the interactions of all environmental processes is the largest international scientific program ever under taken. It has captured the imagination of scientists around the world, and it should extend into the next century. Dr. Bolin believes more research is necessary to predict climate change with greater certainty. Present scenarios for the next century, however, are still quite valid given the steady increase in atmospheric greenhouse gas concentrations. They show conclusively a gradual warming of the atmosphere and the Earth’s surface. It is possible the level of the seas will rise as much as three feet by the middle of the next century. This could mean millions of people being flooded out of their homes. The Royal Swedish Academy of Sciences, the Norwegian Academy of Sciences, and the American Meteorological Society have honored Dr. Bolin with election to membership. He is Professor of Meteorology at the University of Stockholm, and he has been Director of the International Meteorological Institute in Stockholm since 1957. Dr. Bolin previously served as scientific director of the European Space Research Organization, and he presently serves as scientific adviser to the Prime Minister of Sweden. Dr. Bolin received his B.S. degree from the University of Uppsala and his Ph.D. from the University of Stockholm. Among his other honors, Dr. Bolin has received the International Meteorological Prize, awarded by the World Meteorological Organization; and the CarlGustaf Rossby Research Medal, awarded by the American Meteorological Society.